Snap, Inc. will soon launch a second-generation version of its Spectacles wearable later this week, according to a new report. Previous rumors suggest there could be two devices on the docket. The company’s CEO, Evan Spiegel, confirmed the release of Spectacles 2 in an interview with Wired published today. On the other hand, Wired’s report contains very little information about what the updated wearables will look like or what features they might have. Rumors about a new generation of Snap, Inc’s flagship wearable first gained traction a couple weeks ago. Several media outlets spotted an FCC filing that corroborated the device’s existence — although, like the interview with Spiegel, that filing didn’t reveal much else about the wearable beyond a model number and the fact that they’ll come with 802.11ac Wi-Fi capabilities. Wired’s report also noted that the new wearable is only one part of Snap’s “endgame.” Another key component is the launch of Snappables, a new augmented reality gaming platform that was launched on Wednesday. At launch, Snappables will feature games that let users “fight aliens, start a rock band, play basketball, and more.” Users will be able to control the games, which leverage the platform’s Lenses, through touch, motion and facial expressions. A social component will let players compete with their friends or invite them to multiplayer game session. While the Los Angeles-based social media firm unveiled the AR games today, a public rollout is planned for later this week — presumably alongside the new wearables. 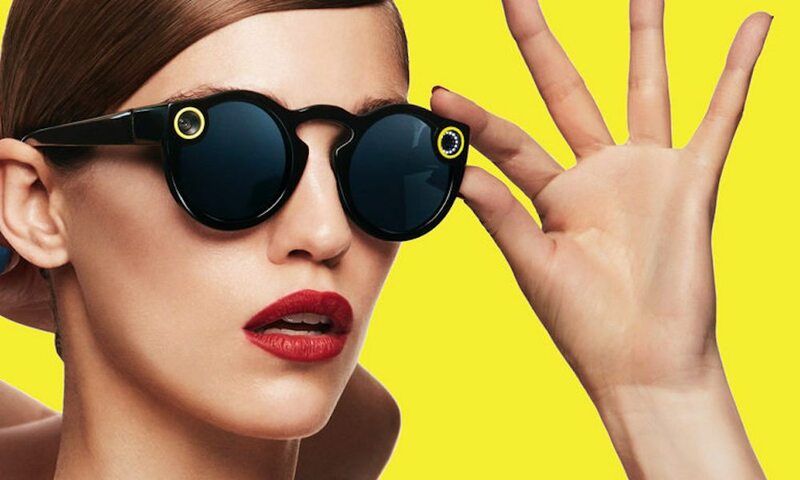 So while we don’t know much about the new Spectacles, we won’t have to wait much longer to find out what Snap has in store for the platform.